Building on its history of successful collaborations, Sanofi Pasteur, the vaccines global business unit of Sanofi, is seeking partners with a common drive for excellence and pursuit of innovation. Not only is Sanofi Pasteur at the forefront of conquer­ing newly targeted diseases, but the company is also leading the way in expanding immunization across all age groups, including adolescents and the elderly. This leadership has translated into outstanding suc­cess in the industry. Sanofi Pasteur is interested in partners who will share in the pursuit of innovation and the company’s drive for excellence while becoming a part of its mar­ket success story. “We welcome the opportunity to evaluate technologies related to the development and production of human vaccines, both prophylactic and therapeutic, including vaccines for chronic infectious diseases,” said Roman Chicz, global head of external research and development. Sanofi Pasteur is improving global human health by the discovery, development, manufacture and supply of vaccines for the prevention and treatment of infectious diseases. 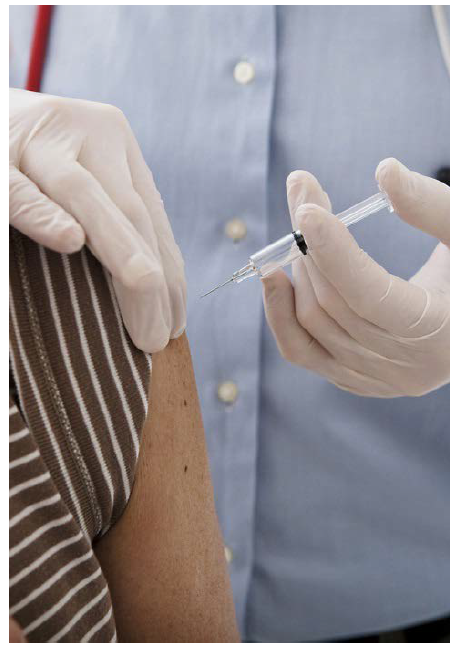 Sanofi Pasteur’s vaccine to prevent dengue fever is now licensed in several coun­tries. Dengue is a threat to about half of the world’s population and a health priority in many countries of Latin America and Asia where epidemics occur. Currently, there is no specific treatment available for dengue fever. Sanofi Pasteur has a strong commitment to the establishment of research and development partner­ships with major universities, research institutes, gov­ernment agencies, biotechnology companies, non-government organizations and contract research organizations. The company’s collaborations cover virtually all aspects of vaccine development, includ­ing early-stage research. Patient receiving their annual flu shot. Examples of current partnerships and technol­ogy investments include a protective mAb against respiratory syncytial virus (RSV) infection in infants; vaccine candidates against RSV, herpes simplex virus, Streptococcus pneumoniae and broadly protective influenza; pediatric combination vaccines; large-scale cell-culture-based virus production; adjuvants and immunomodulators; conjugate vaccine production; and vaccine delivery systems. A company that partners with Sanofi Pasteur interacts with a multidisciplinary team with years of experience in working to ensure that partnerships are executed successfully and are nurtured for the mutual benefit of all parties. This approach utilizes the value-added Sanofi Pasteur alliance management capability, which focuses on the relationship by the facilitation of open communication, trust, understanding and clear expectations across the project lifespan. Combined with the technical competency of the alliance, this balance provides a well-rounded envi­ronment in which novel technologies can flourish. Currently, 100% of our preclinical portfolio and ~65% of our clinical portfolio has a partnering component. Sanofi Pasteur welcomes information about new partnership opportunities. Each opportunity is care­fully evaluated and reviewed by its dedicated team. Sanofi Pasteur, the vaccines division of Sanofi, is seeking partners with a common drive for excellence who will share the company’s pursuit of innovation. Sanofi Pasteur is not only at the forefront of conquering newly targeted diseases, but the company is also leading the way in expanding immunization across all age groups, including adolescents and the elderly. This leadership has translated into outstanding success in the industry, and Sanofi Pasteur is interested in partners who will become part of our market success story. Sanofi Pasteur welcomes the opportunity to evaluate technologies related to the development and production of human vaccines, both prophylactic and therapeutic. Sanofi Pasteur is interested in potential partnering opportunities in the field of active and passive human immunization, as well as technologies supporting product development and industrial performance including vaccines for infectious and chronic diseases.